Superb Louis XV bois satiné and ormoulu rouet à filer. 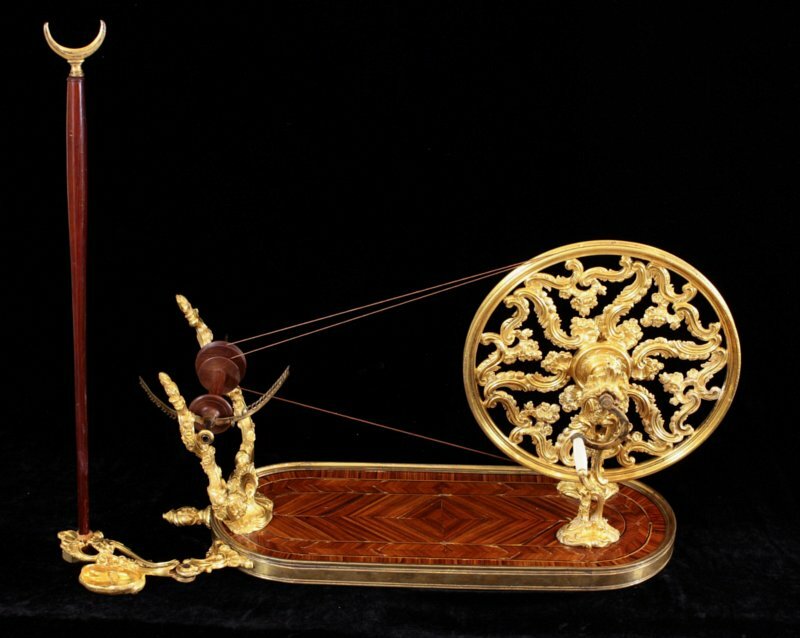 The instrument was used to mechanically twist strands of wool, linen or silk and wind the resulting thread onto a spool. Another, simpler version with the same wheel is in The Danish Museum of Art and Design (Kunstindustrimuseet). Many 18th century images of beautifully dressed women in elegant rooms using such tools exist - for example this portrait of Marie-Christine, Marie-Antoinette's sister.